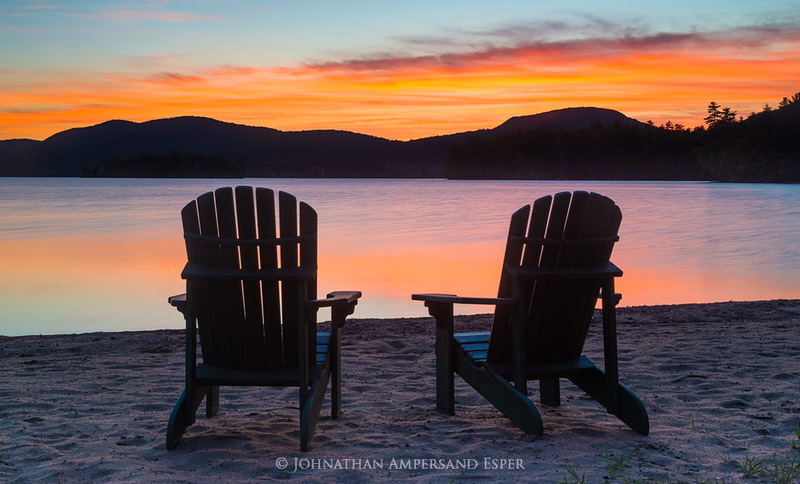 Photograph the classic and wild Adirondack Park region during its most beautiful and colorful week of the year. This is the largest publicly protected area in the contiguous United States, greater in size than Yellowstone, Everglades, Glacier, and Grand Canyon National Parks combined. 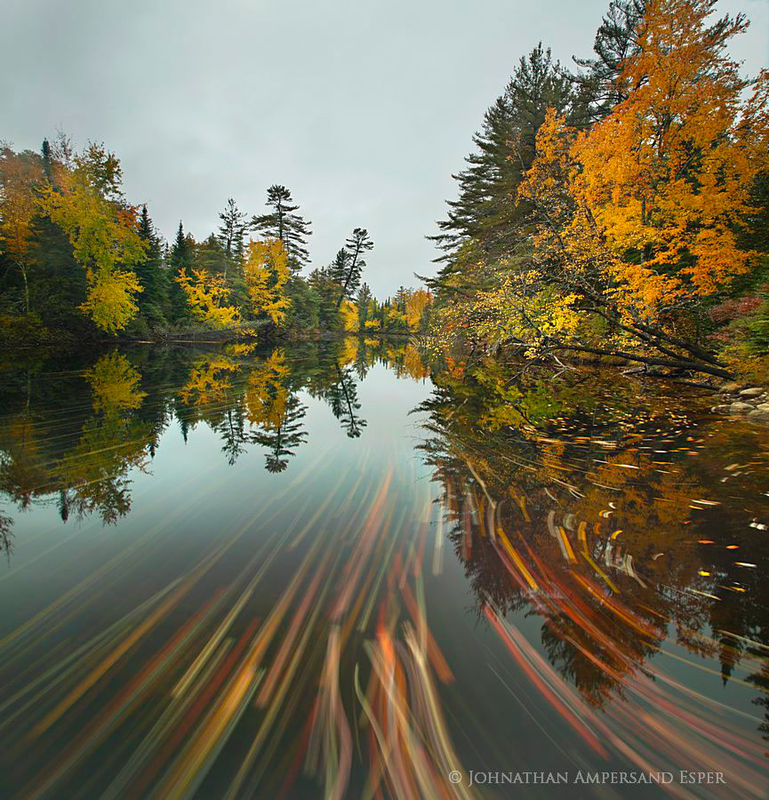 There are over 3,000 lakes, 30,000 miles of rivers and streams, and a wide variety of habitats, including globally unique wetland types, old and new growth forests, and alpine vegetated mountains—truly a photographer’s paradise. We'll focus on two areas that are rich in photo ops and have a variety of classic Adirondack landscapes from mountains to forests to lakes. Our workshop is timed to coincide with (we hope!) the peak of fall color, covering ground from the High Peaks, to the Central Lakes. We’ll shoot every sunrise, sunset, and night sky as weather permits. We hope to photograph the color of fiery red sugar maples and yellow birches, and with a bit of luck, cool foggy mornings at lakeshores. Highlights might include hearing the shrill whistling call of a loon on the foggy calm waters of a pond at sunrise, followed by an epic secret vista over the High Peaks mountain chain at sunset. We have a couple hikes planned to get to some little-known but spectacular photo spots. During the day, we'll photograph deep in the woods, capturing waterfalls, forest streams with mossy rocks, intimate detailed forest scenes, and even abstract motion blurs of fall color reflecting in a river's shaded rapids. Our group is small, and everything’s all-inclusive, as usual with us, and we have the best local pro and guide in The Adirondacks, Johnathan Esper. This workshop will be jam-packed with instruction in the field and in the classroom, with our signature image reviews and post-processing sessions. Expect to be up early, and out late, and be immersed in photography all the time. 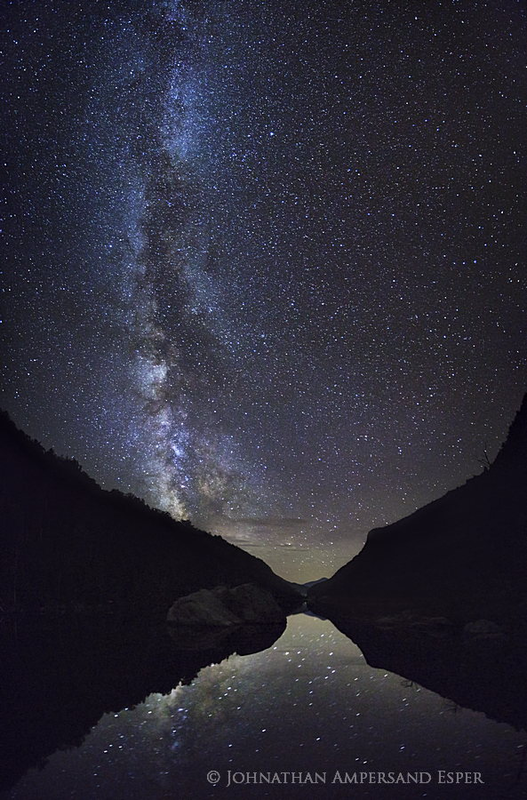 September 28, 2019: We meet at the Courtyard Lake Placid Hotel at 3:00 PM, and then head out to photograph sunset at a secret lookout over Johns Brook Valley and the High Peaks (Keene Valley area). We’ll have dinner, followed by either a critique/post-processing session, or night-skies photography, depending on weather. We’ll be balancing class time with shooting opportunities throughout this workshop, to make sure we get plenty of both. September 29, 2019: We’ll be up early for sunrise at Heart Lake, with the possibility of hiking up Mt. Jo, an easy two-mile loop trail with a stunning view. After breakfast we’ll head out to Round Pond in the Dix Wilderness or Chapel Pond and Boquet River gorges. Lunch and critique session will follow, and then at 4:00 PM we head out for sunset at Newport Pond and Belfry Mt. firetower. Dinner and either a critique session or night skies, depending on weather. September 30, 2019: Sunrise at Ausable River and Connery Pond followed by breakfast followed by a critique session and lunch. At 3:00 PM we head off to Flume Gorge and then on to Adirondack Loj Road meadows for sunset. After dinner we’ll either take the night off to rest up for our long day tomorrow, or possibly shoot night skies. October 1, 2019: Today we’ll be checking out of our hotel, and making our way to our next lodging in Long Lake. We start the day with a sunrise shoot at Donnelly’s corners. After breakfast we’ll check out and begin our drive from Lake Placid to Long Lake, by way of Tupper Lake. 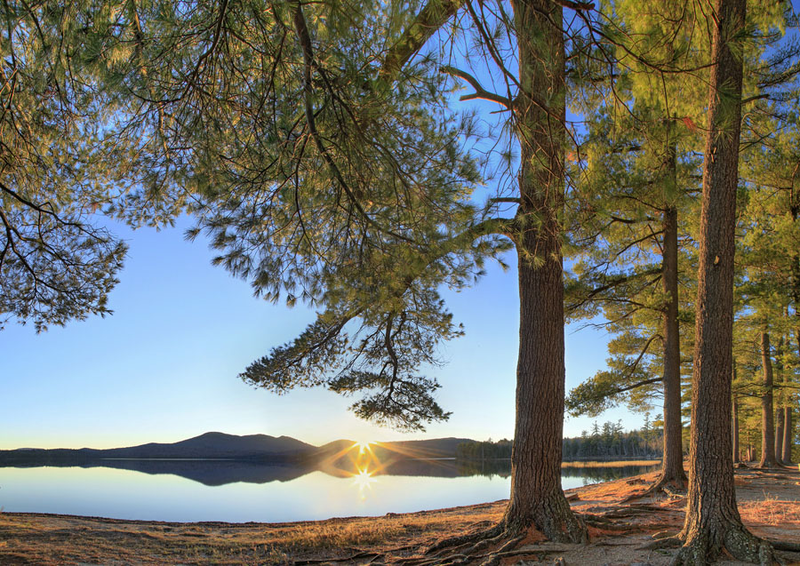 We’ll be stopping at Lower and Middle Saranac Lakes, and then stop for lunch at Tupper Lake. After lunch we continue our way to Long Lake, stopping at Bog River Falls and Panther Mt. bog. After check-in and a bit of a rest, we’ll head out for sunset at Rich Lake Beach and VIC trails. Dinner follows, and then either a critique session, or night skies at County Line Flow. October 2–3, 2019: Sunrise at South Pond inlet creek. If we’re feeling ambitious we can eat breakfast on the run and head up to Castle Rock for a panorama view of Blue Mountain Lake. Or we can enjoy our breakfast and photograph Bog River Falls or Grampus Lake outlet. After lunch we’ll head out to North Point Road streams, Raquette River and Buttermilk Falls, and straight on to sunset at Forked Lake. We’ll end the day with dinner and a critique session. October 4, 2019: Sunrise at Lake Durant, followed by breakfast and our final critique. We’ll finish up by noon. Transportation to and from Lake Placid, NY. Items of a personal nature. Alcoholic beverages. Travel and trip cancelation insurance. Anything specifically not listed as included. Your deposit of $2,000 will hold your space in this workshop. The balance of $2,495 will be due not later than June 1, 2019. All of our standard terms and conditions apply. Need special payment arrangements for your deposit? No problem, just ask us. This workshop is strictly limited to 8 guests. If you have interest, don't delay, click the "Sign Me Up!" button and we'll see you in the Adirondacks! Got questions?